Royal Thai Herbal Massage is an ancient healing method using hot canvas bags filled with a mixture of more than twenty types of aromatic healing herbs and grasses, blended according to proven recipes that are more than six hundred years old. 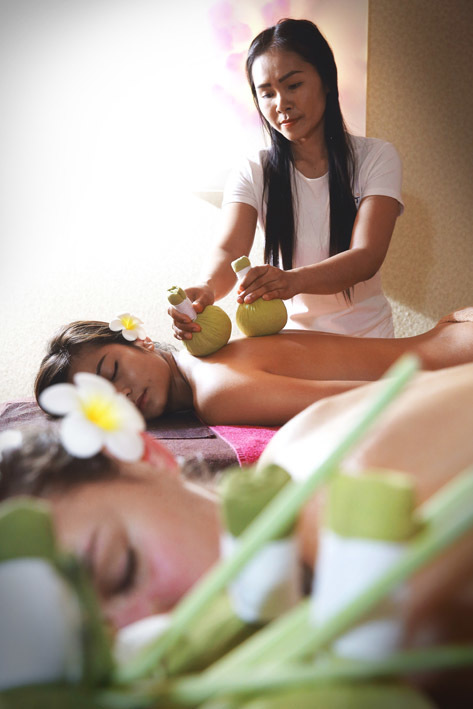 The Herbal Massage consists in the combination of Traditional Thai Massage with application of hot herbal compresses to the energy centres of the body. Thai Herbal Massage by action on the acupressure points of the body relieves, eliminates stiffness of the muscles and joints and agitates natural blood circulation in the body. Thanks to the hot herbs, the tired body warms up and relaxes, which results in quick relief of pain and stress. The herb aroma is released to the air and has an aromatherapy effect. 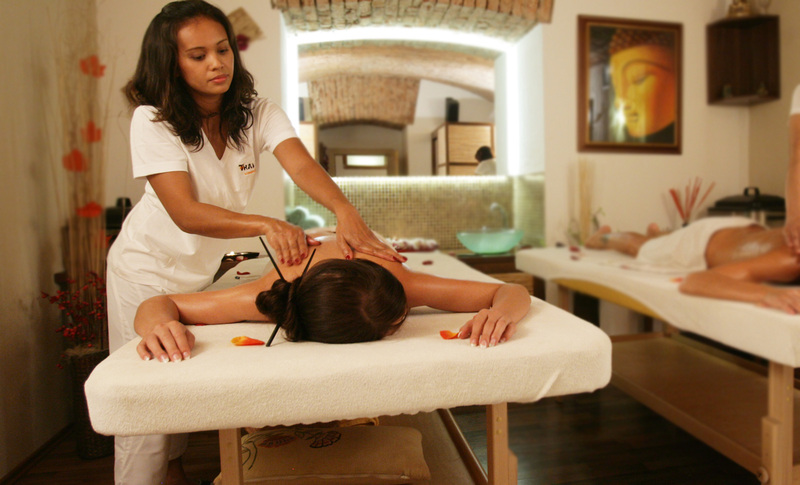 The Herbal Massage evokes a perfect feeling of complete relaxation and comfort, physical and mental harmony.